As the coordinator of a food pantry in rural eastern North Carolina, Dianne Andrews meets a lot of seniors living on small fixed incomes. But one story has stuck with her. One day Dianne got a call from her Aunt, who knew of an older adult who wasn’t eating anything because she couldn’t afford more groceries. This woman was either too scared or too embarrassed to ask for help, so Dianne’s Aunt asked if she could give this woman a call. With some encouragement from Dianne, the woman came to the food pantry. She was 75-years-old and living on $700 a month. She couldn’t afford to pay the taxes and insurance on her home, and often ran out of money by the end of the month. 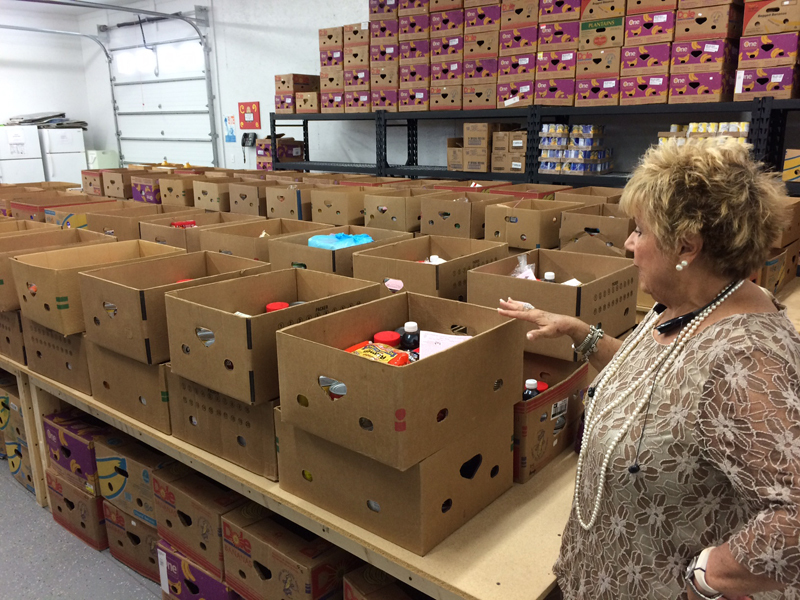 Dianne Andrews looks across boxes of food prepared for people in need at Greene County Interfaith Volunteers, Inc. in Snow Hill, NC. Greene County Interfaith Volunteers, Inc. serves between 700 and 1,000 individuals every month. Almost 75% of them are seniors. With an army of 92 volunteers, Dianne and her team help as many people as they can. They manage the only school pantry in Greene County and are also a designated disaster recovery site. Without a shelter in the area, the Interfaith Volunteers are one of the only organizations working to deliver meals to homeless individuals and families, and seniors who cannot leave their homes. And twice a week they provide fresh produce, dairy products, frozen meat, and shelf-stable items to hundreds of people from across Greene County. 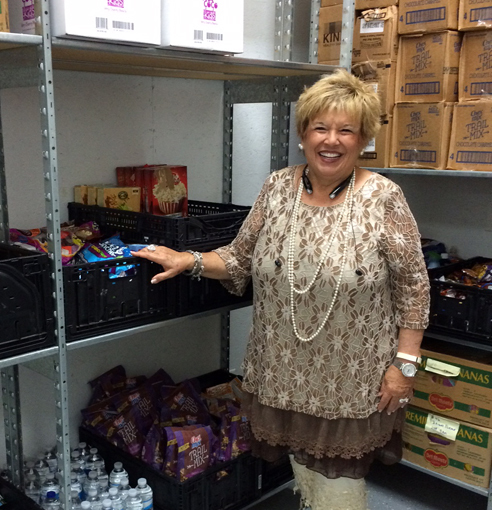 Dianne Andrews stands in the food pantry where they keep donations for the middle school down the street. May is Older Americans Month. More than 45,500 seniors in central & eastern North Carolina live in poverty, and thousands more struggle to survive on a fixed income. This month we will share stories of seniors struggling with food insecurity as well as those serving their community to help solve senior hunger.